There’s little that irritates us more than flushing the toilet only to find it quickly backing up and creating a mess. Though it can seem harmless, a clogged toilet drain can quickly become a larger plumbing issue that can disrupt daily functions in your home or customer satisfaction with your business. If a clogged toilet drain is causing issues in your home or business, our plumbing repair company can help. Our technicians have the skill set and professional experience necessary to effectively unclog the drain and ensure every component in your plumbing system functions as intended. Don’t wait — contact us today for fast and efficient plumbing repairs throughout the greater Ocala, FL, region. What Are Common Residential Toilet Clogs? A residential bathroom may be considered the most frequently used place in a home outside of the kitchen. Because of its steady and regular usage, there are several residential toilet drain clogs that are common culprits for disrupting residential plumbing from properly functioning. The flushing pressure in your toilet usually gets extra help from roof vents. These vents can become congested from tree leaves, sticks, and sometimes animal nests. Sunshine Plumbing and Gas has the tools and experience to quickly clear any blocked plumbing vent in your home. If you have younger kids, odds are a non-flushable item (toy) has found its way into a toilet drain at one time or another. But kids aren’t always the reason for a clog. Our plumbers frequently remove wet wipes, cotton balls, and feminine hygiene products from residential toilets. Many homes have frequently clogged toilets due to the toilet itself. On the back of your toilet, check for a stamped date — if the date is from the mid-1990s, it’s likely a first generation low-flow toilet. While these are more efficient than their predecessors, they’re still the first generation which means they came with some hiccups. Limit flushing toilet paper and other clog-prone items to reduce the number of clogs. What Are Common Commercial Toilet Clogs? Plumbing within commercial properties, such as restaurant plumbing, can be extremely prone to clogs in the toilet drain as a result of the following common causes. Even biodegradable toilet paper still takes time to break down, and in the meantime, too much can clog the toilet drain. With regular maintenance services to your commercial plumbing, we can help keep your bathroom drains clear before a clog disrupts your business. Tree or plant roots grow wherever they can, including into drains and pipes. If more than one toilet drain in your business is clogged at the same time, it’s likely an invasive root. We provide piping and repiping services to help solve this issue — contact us today. Toilet paper, paper towels, hygiene products, and other waste can all accumulate into a toilet drain clog in any commercial setting. 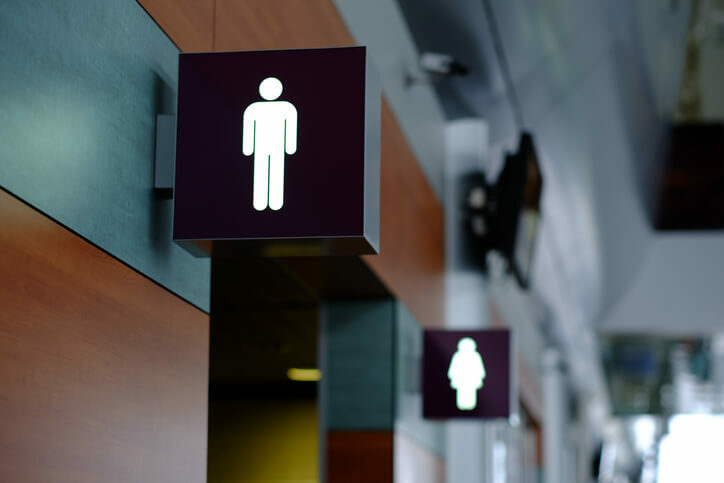 Whether you have just a few or hundreds of people who use the restroom each day, our plumbers can help keep the toilet drains clear of waste buildup. What Should I Do With A Clogged Toilet? Conventional wisdom says a plunger is the way to go when you have a clogged toilet at your home or business. But a plunger may not always be within reach when a clog strikes, or be thorough enough to handle a major clog. If you’ve used a plunger and/or a toilet snake and the clog is still there, it’s time to call an Ocala plumber. Many lesser clogs can be cleared without professional assistance, but for those which can’t be, our plumbers have the training and experience to quickly repair your residential or commercial toilet. The step following a plunger is to employ a toilet auger, or snake as it’s more commonly known. A long wire is uncoiled into the drain led by a corkscrew-like end which breaks up or hooks whatever is clogging the drain. If the clog hooks, reverse the snake back toward you and remove the clogged object. For $10 or less, your home or business can have an unsung hero in the bathroom. Choose a toilet plunger with an extension flange. These are designed to fit into the toilet drain, giving you a better seal and more suction for unclogging the toilet. What Should I Avoid With A Clogged Toilet Drain? Whether they happen in a seldom used home bathroom or a busy commercial restroom, clogged toilet drains are annoying. And though you want this annoyance to go away quickly, there are a couple of things you should keep in mind. Worst case scenario when attempting to clear a clogged toilet drain yourself is to create an even bigger problem. With years of experience, plumbing experts advise anyone who isn’t completely sure to leave the work to the professionals to avoid developing the problem further. Instead, call us for fast plumbing help! There are many drain clearing chemicals available at hardware and department stores, but keep in mind these work slowly. And depending on what is clogging the toilet drain, a chemical may not clear the blockage. At that point, you’ll be left with a clogged drain and a toilet bowl of chemical-filled water.